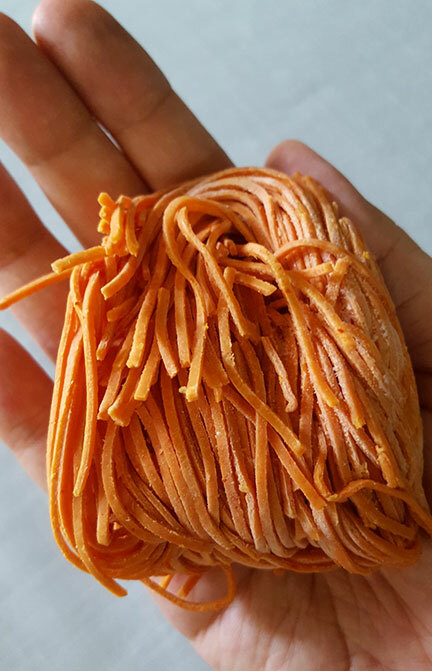 A friend from high school recently started posting photos of the fresh pasta she makes from home and her tomato chili pasta caught my eye. We got in touch and I ordered a few variants including the mushroom garlic and herb garlic to try. Pasta is a cupboard staple in our home; fresh pasta changes the game since it cooks faster even if it’s straight from the freezer. The noodles are packed by 300g in 4-5 nests to portion per serving. A quick shake in a shallow pan of lightly salted boiling water and it’s ready. 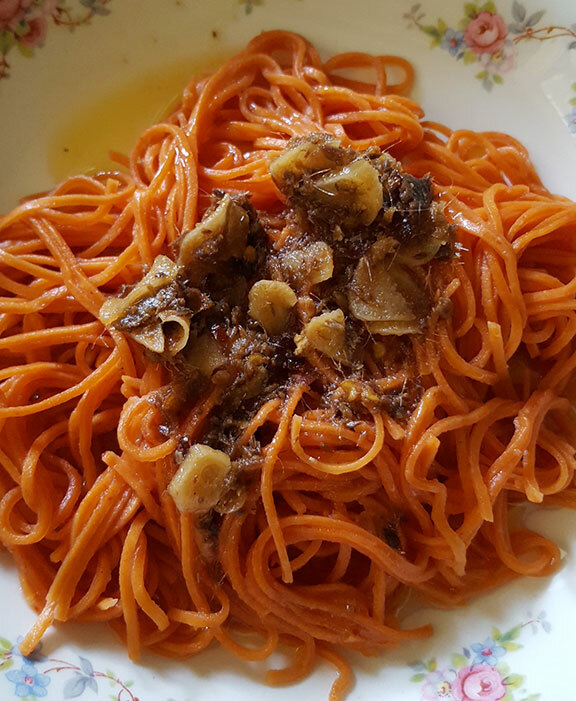 The noodles have a good chew and packs heat from the siling labuyo incorporated in it. I keep a small stock of my anchovy, garlic and chill pasta sauce (recipe here) in the kitchen and this combination is one hot number! Chill aficionados would enjoy this. Karina’s fresh pasta is currently available in Real Food Molito. She creates other pasta variants depending on what’s available in the market.